One large bin of LEGO Bricks contains almost endless possibilities to create and build new worlds. One type of project that builds on kids’ STEM skills (science, technology, engineering and math) is creating a scale model of a place that’s near and dear to their hearts out of LEGO Bricks. What could this be? 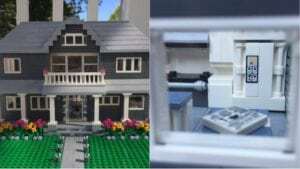 The LEGO scale project could be a miniature layout of their neighbourhood, or a re-imagined version of their house. It could be a downtown plaza, their school or even your favorite sports arena. The sky’s the limit. Designing your own model is the perfect STEM challenge. Without a doubt, your child is accustomed to snapping together LEGO pieces with one eye on the kit instructions. But creating a model from scratch brings the challenge to a new level — and gives them confidence to create their own dream projects down the line. Creating plans for a model and then building it is also the perfect STEM project. Spatial reasoning — Creating a model requires making some calculations so you have the right proportions of heights, widths and distances. Since these real-life structures are being rendered in blocky LEGO Bricks, it will require some finessing to find the best brick-to-foot ratio. Architectural details — Creating a model is a chance to discover how the design of the building works. What contributes to the structure, and what are mere details? How is wall placement used to create spaces? And what small adjustments could be made to alter the space? Construction play — There’s plenty of research showing a link between construction play and improvement in math and spatial skills. For those long, hot summer days, this could be an ideal summer challenge that keeps those math skills sharp and learning loss at bay. Promotes problem solving — There are two paths to solving a problem. One is the very direct convergent thinking, which is identifying the best solution to the problem. And there’s divergent thinking, where the creator’s mind kicks into gear and identifies multiple solutions. The challenge in designing your own model means utilizing both. Perseverance — The size and level of detail of the project will require a unique kind of determination. Since the goal is to make it look as much like a real-life place as possible, there’s going to be some trial and error in the process. This can teach the valuable life skill of pressing on even in the face of frustration. It depends on what you’re making, but most of the time, dumping out your collection of bricks and starting to piece things together without a plan won’t work out very well. Collect —If you have the cash, you can visit Pick A Brickand assemble the entire kit. To reduce costs, build your kit on the cheap by keeping an eye out at charity shops and boot sales for secondhand collections. Be sure and ask friends with older children. Borrow — There’s no need to reinvent the wheel when building your masterpiece. Hop online and discover the many forums and sites where fellow LEGO enthusiasts have posted and shared their models. Someone out there may have the perfect solution for a tricky detail, or you may discover a way to improve it. 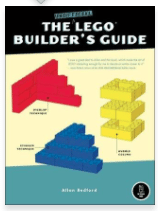 One must-read before you launch a project is The Unofficial LEGO Builder’s Guideby Allan Bedford. It offers more details and help in dreaming up your big project and designing it. At Bricks 4 Kidz, we understand the unique joy and satisfaction of dreaming up your own models and designing them into reality. Help your kids discover inspiring new ways to create and sign them up for a Bricks 4 Kidz class in your community.